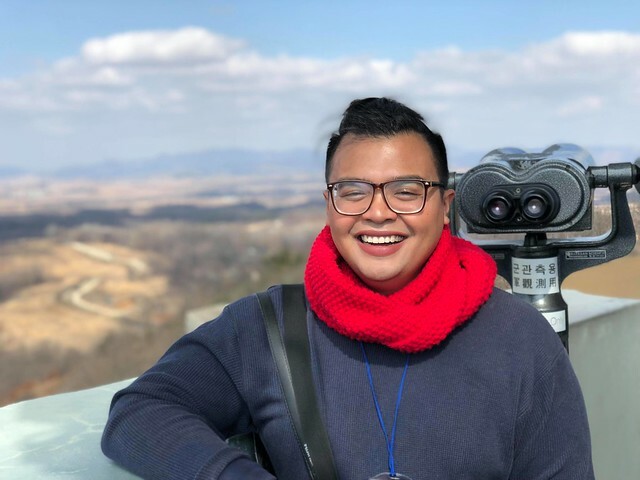 Even if North Korea is very controversial, curious tourist eye won’t stop getting a chance of visiting the place or even see it from a distance. It was one of our to-do list during our visit to Seoul with friends. Having now taken the DMZ tour ourselves, this highly informative if not taunting experience is highly recommended. 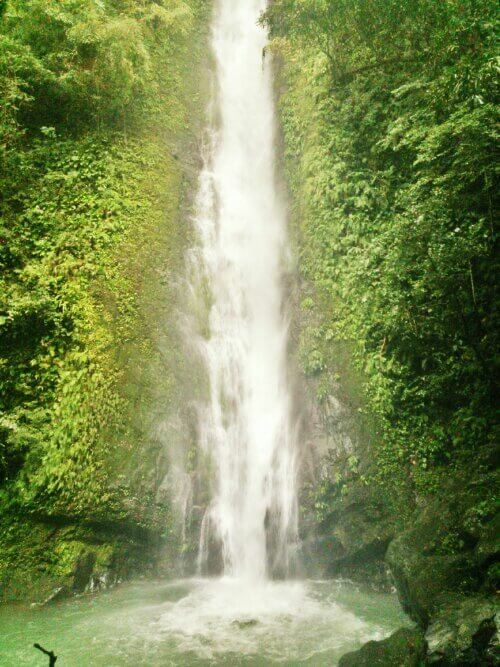 So, your curiosity is desiring to get a snippet into one of the most closed counties on earth, read more! What is DMZ or Korean Demilitarized Zone? The Korean Demilitarized Zone is a strip of land running across the Korean Peninsula. It is established by the provisions of the Korean Armistice Agreement that serve as buffer zone between North Korea and South Korea. The demilitarized zone (DMZ) is a border barrier that divides the Korean Peninsula roughly in half. 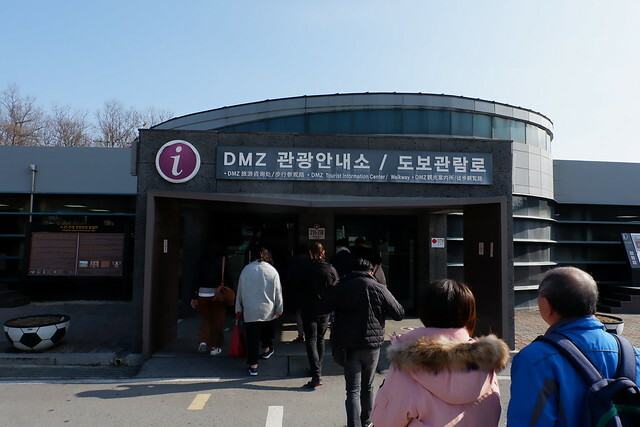 The DMZ is 250 kilometers long and about 4 kilometers wide. Imjingak is the last village before the famous tourist spot in Korean called DMZ. The village holds the remnants of Korean war more than 60 years old. Imjingak lies near Imjin river. You can see damaged old bridge and train. They transformed the place as a tourist spot. Modern building with observatory deck on the roof is where you can find several gift shops, shopping store and fast food. It was discovered back in 1978, the 3rd tunnel is apparently designed to attack Seoul by North Korean. It accommodates 30,000 men per hour to build the tunnel. South Korea discovered 4 tunnels, out of those tunnel the 3rd tunnel is the most threatening. It stretches for 52km from North Korea to Seoul. Dora Observatory is strategically located to see North Korea closest at hand. Tourists can peek through the telescope to see the propaganda village, farmland of North Korea, some city of Gaeseong, Gaeseong Industrial Complex and a brown statue of Kim Il- Seong. Dorasan Staton is a railway station on the Gyeongui Line. 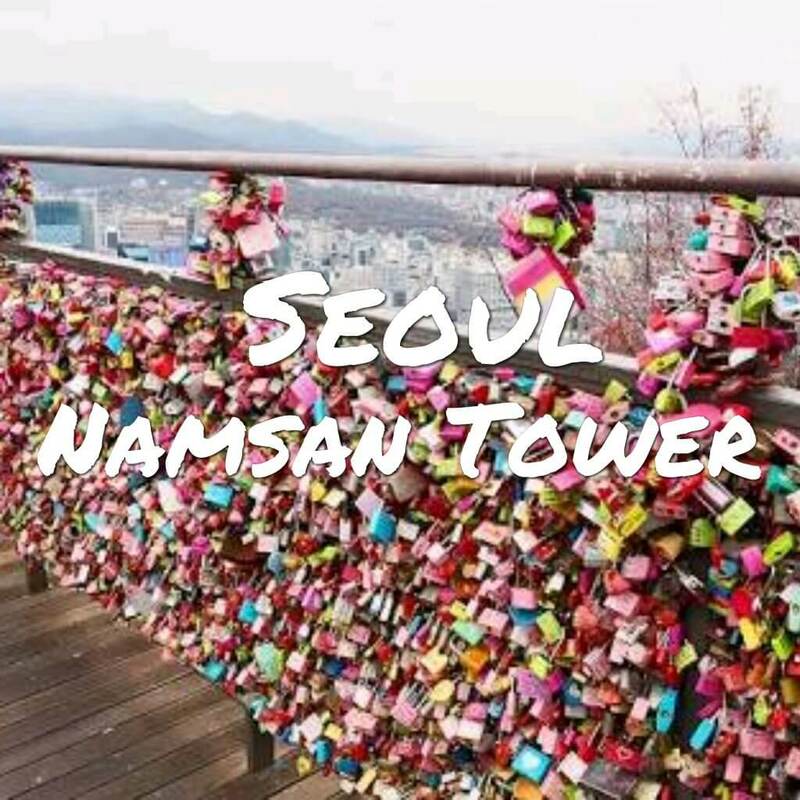 It is located at the northernmost stop of South Korea, 56km from Seoul and 205km from Pyeongyang. If North and South Korea reunites, Dorasan Station is the station that will connect them. Once it is fully functional and trains can safely pass through North Korea, this line will connect with the Trans Eurasian Railway Network. Someday, in theory, you can ride the train to Busan all the way to London pass through North Korea, China, Russia and then through Europe. Ginseng is South Korean’s most important root. They have the 6-year-grown Korean Red Ginseng root that is mature and maxed out capacity to harness health components. There are only small number of centers that sell 6-year-grown ginseng and they are managed by the government. Apparently, a lot of sellers in Korea sell different kind of Ginseng that doesn’t have the benefits of 6-year-grown Red Ginseng. Where to buy DMZ Tour? 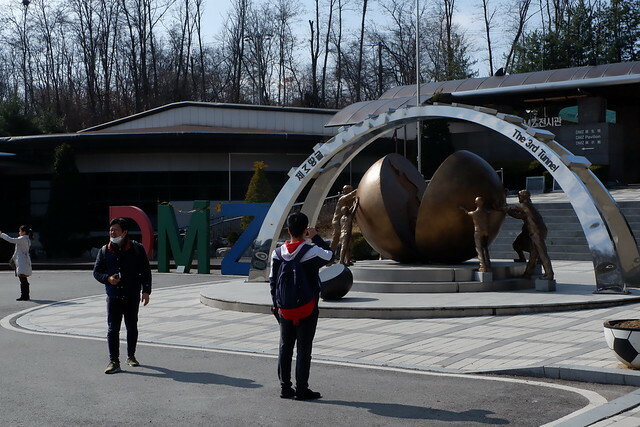 DMZ Tour is available in Trazy, where they offer transportation, half day tour with English speaking tour guide. It is really convenient. 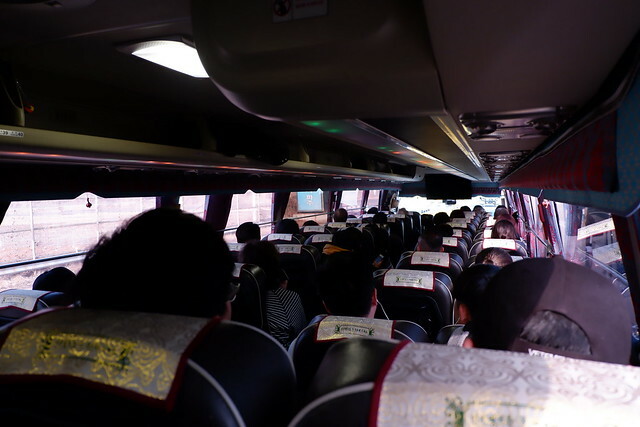 They pick us up on our hotel by a van and then transferred in a bus going to DMZ. In their website, tour participants are required to bring them their PASSPORT. In between places, someone from the military will be checking your passport. 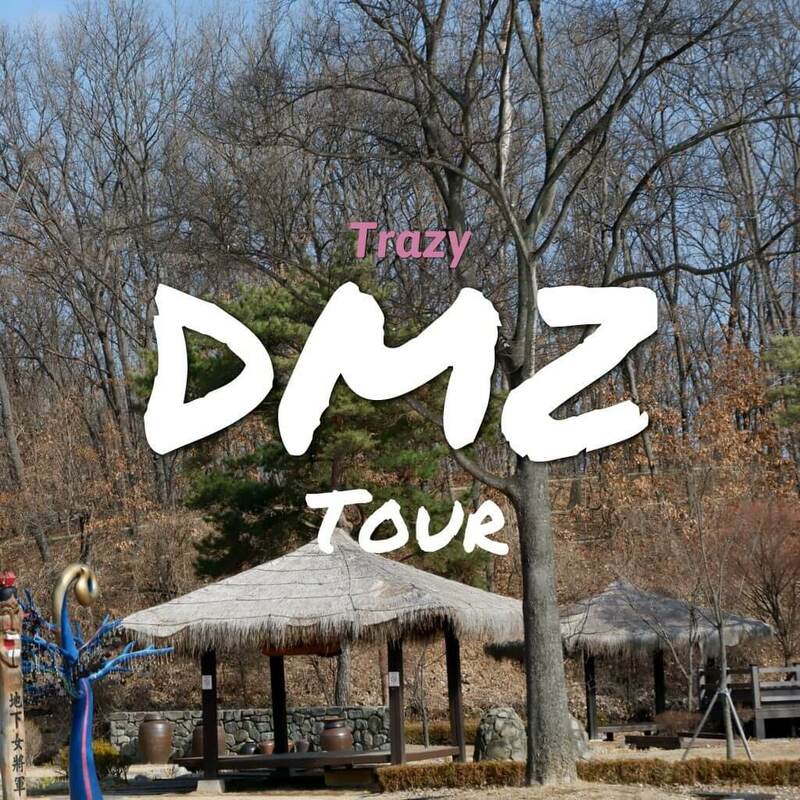 For hassle and worry-free tour in DMZ, I would suggest availing Trazy DMZ Tour. It made our day extra special and with all the information that we’ve learned during the tour, North and South Korea conflict and history. 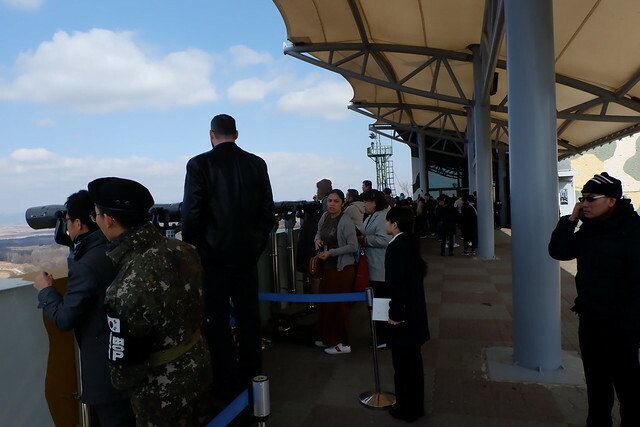 They also offer DMZ and JSA Tour to see South and North Korean forces stand face-to-face.